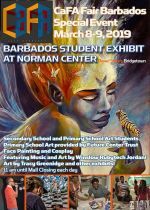 The Caribbean Fine Art Fair (CaFA) and Terra Caribbean are proud to present the CaFA 2019 Barbados Student Art Exhibition. 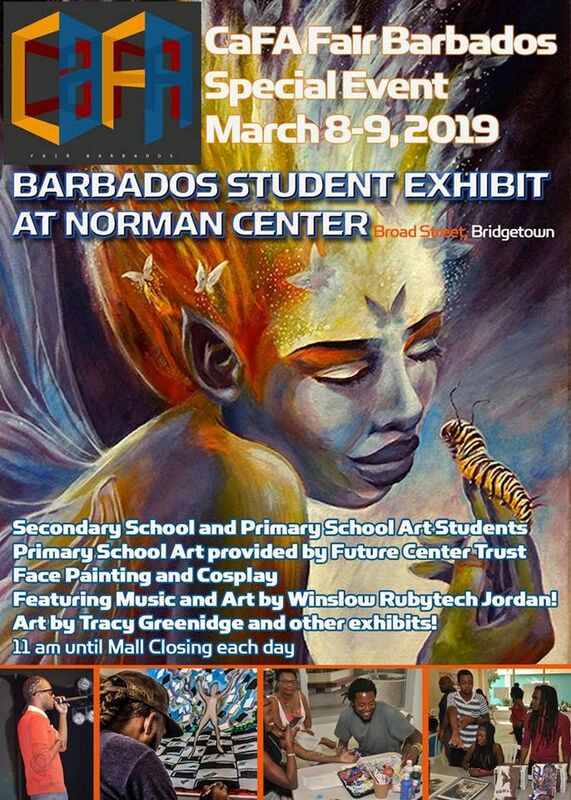 This exhibition showcases works from Barbados' primary and secondary schools, giving young artists a taste of the lime light. The School exhibition will be hosted at the Norman Centre Mall in Bridgetown. There will be Face Painting and Cosplay. Live Music and Art by Winslow Rubytech Jordan. Also featuring art by Tracy Greenidge and other exhibits. Gallery Opens from 11am daily until the mall closes.